This is extremely haunting, and moving, yet retains some beautiful soft feminine tones. Perfect for the character. I echo Brom's sentiment, I hope to see more of your work here on MT! Proposed by bromithia and highlighted by Saikusa. So why are you just deciding to post all of your wallpapers over here now? :P Anyways, this was always a really sweet wallpaper, I remember using it awhile back when I first saw it on PV. Hope to see some more of your work around here! Freaky and quite awesome too. Must say, it's definetely freaky. Nice desktop wallpaper good job on it I like it alot. Scary, Freak, Mysterious. Hard color tone makes it full of energy&life. The eye makes me scare. Sorf in Hard tone. Rough conceal Smooth. I used this as desktop for a long time. Fascinating effects. Did you change something on it? This was posted on animepaper before, no? The colors were different there I think, and the contrast. Anyway still great, thanks. Amazing. 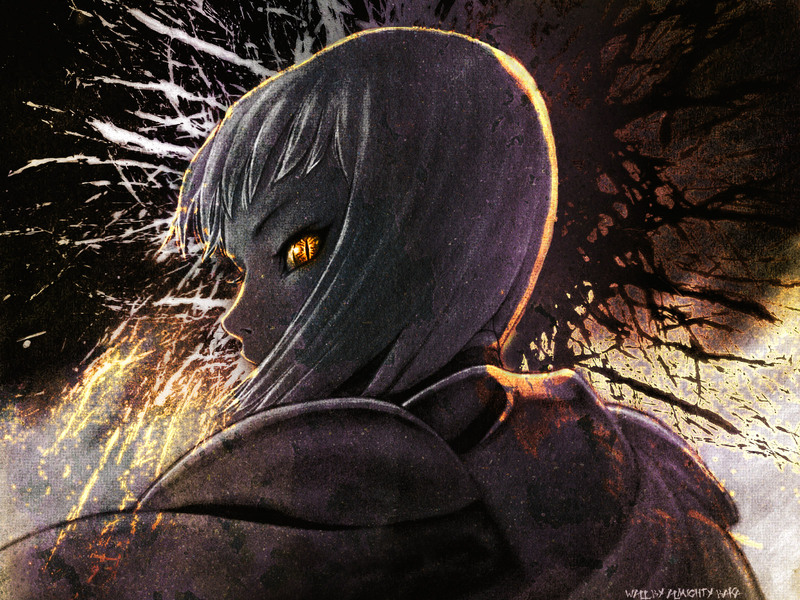 I've always been a fan of Claymore, so it's really nice to see a great wallpaper like this on MT. ^^ And that eye just really takes the cake! :3 I can't get enough of it. Clare and Teresa are really wonderfull! I like the colors of the eyes and the image looks AWSOME! wao! it looks so dark :O! hair, bg, eyes ... this totally awesome. You know i get why people are afraid of Claymores,cause they actually see in color what you just posted!Scary but oohh i want to hug her!